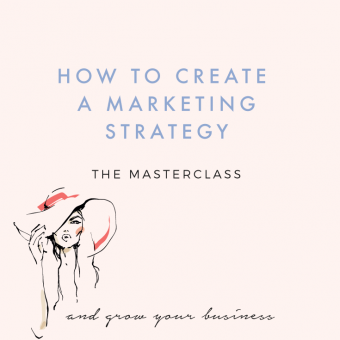 So far in the MailChimp series we have covered all the basics of how to set up your account, your sign-up forms and how to send campaigns. If you want to jog your memory before you start you can access Part One & Part Two here. 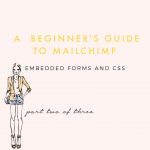 Part One & Two cover the most useful functions that MailChimp has to offer in terms of basic services. This week we are looking at some of the more ‘advanced’ tools that MailChimp has to offer and how you can use them for your blog. 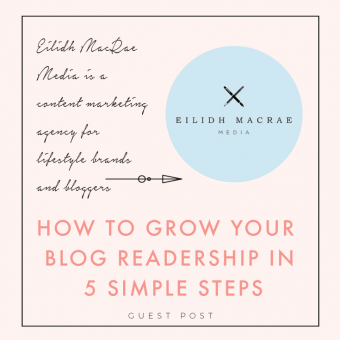 I call them ‘advanced’ not because they are more complicated but because, generally speaking, they are more likely to be of use to bloggers and business owners that have been around for a little longer. That is not to say that this is of no use to new bloggers. 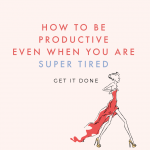 Automation, for example, is a super useful tool even for those starting out. 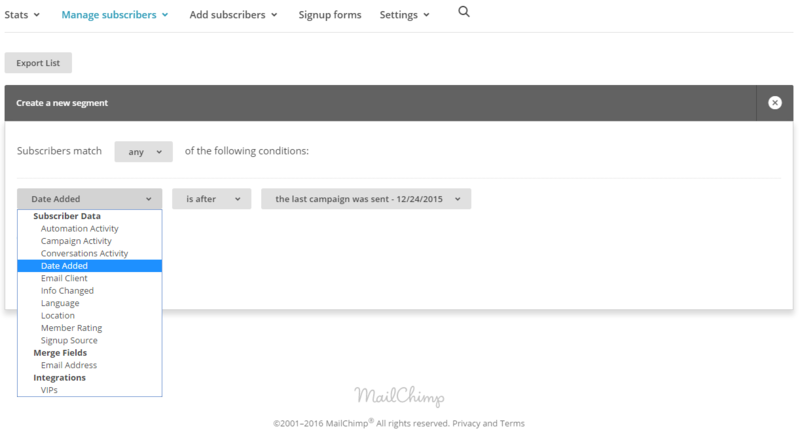 In the past you needed a paid account in order to access automation – but now MailChimp include in their free plan. If you have under 2000 subscribers then you will be on the free pricing option for MailChimp. I should warn you, that if you were to become a paid member, you can NOT return to being a free member afterwards. So, if you have much less than 2000 subscribers I would think carefully about upgrading and weighing the pros and cons of the services vs the financial considerations. First, we are going to look at Automation. While this may sound abstract, automation can be extremely useful. For example, if you want to deliver an email course to your subscribers or send a series of emails to welcome people to your community. If you want to get really into automation, you can also use it with your eCommerce marketing strategies really effectively. Basically, you can tell MailChimp to send certain emails when certain trigger events occur. So, for example, you might tell MailChimp to send a welcome email when someone subscribes to your newsletter. 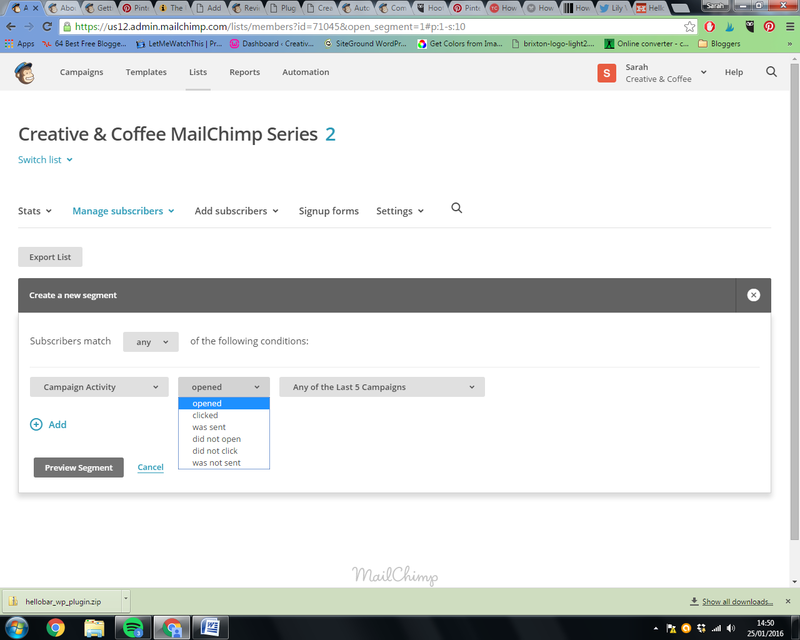 You can also tell MailChimp to email a ‘series’ of emails. For example, if someone signs up for a five week email course, you can tell MailChimp to deliver each lesson, every Monday, for the next five weeks. Setting up automation is very similar to setting up a campaign. The automation option can be found in the main menu, at the top of your screen. If you already have already created an automation sequence, you will find a list of them waiting for you. If not, you can click the grey automation button to create your first series. Much like launching a campaign, you will need to select a list. If you are just setting up a new email course, it’s likely that you will want to create a new list for your course participants. Once you have selected your list, an array of new and interesting options will appear. If you are looking for something in particular you can use the options on the left to narrow down the categories. After this screen the set up will be basically the same as setting up a regular campaign, as we showed you how to do last week. However, this screen within automation offers you a lot of exciting options. MailChimp gives you a handy description of what each entails. As you can see from the small symbols, each has been divided into categories, so I’m just going to talk through the uses of each category and how to use them. The options with the yellow icons are for lists and the two options at the top are pretty straight forward actions. You can use the ‘Welcome Series’ to automatically send out an email to new subscribers to your list. Or you can choose the ‘educate’ subscribers list in order to send out a series of emails. This would be perfect if you were sending out lessons for an email course that your subscribers had signed up to. You can create set of pre-written emails or ‘lessons’ and specify when you want them sent out. For example, the first email might be sent out immediately, but the second email might be sent out the next day. The other ‘list’ based option is for when a subscriber joins or leaves a ‘group’. We will talk more about groups during the segmentation section below, however in brief, subscribers can be grouped by variables such as country or purchase history. Integration is a little more complicated. Integration works by tracking your reader’s activity on your website and using that action to trigger an automation work flow. 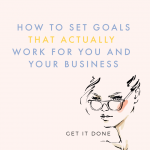 When you create a campaign, you may have noticed at the bottom of the page where you enter you subject lines etc that there is the option to set a goal. 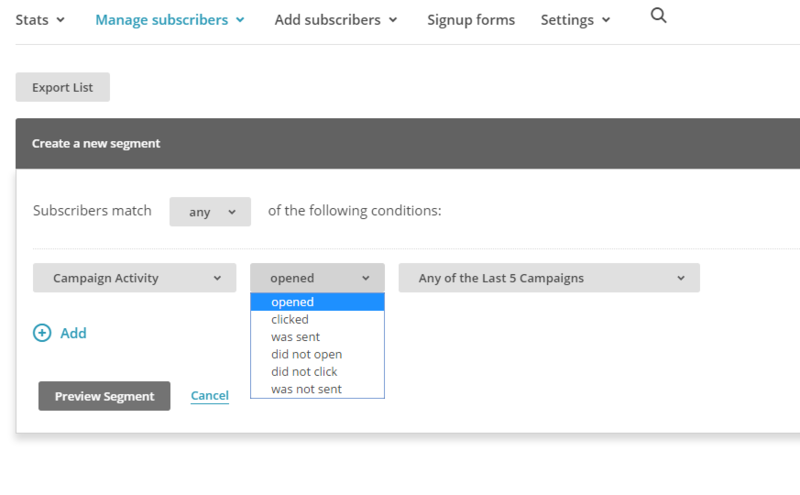 If you enable this option MailChimp will note when a subscriber clicks on the link in your campaign and is taken to your website (or the page where you have installed your ‘Goal tracking snippet’. It does this by installing cookies into your reader’s browser when they click on a link in a campaign that you have created. This will create an ID for that reader that will remain active for a year. Or until they clear the cookies from the browsers. Foiling our evil plans. From then on, each time your reader returns to your website, their activities will be tracked even if their point of origin was not one of your emails. Under the Facebook option you will find ‘goal’, click on this option and then click to enable. MailChimp will provide you with a tracking code which you should paste into the <head> section of each page that you want MailChimp to track. If you find it difficult getting all your files open and inserting codes then I recommend the Insert Headers and Footers plugin which makes it easy to insert codes like Google Analytics etc straight from your WordPress Dashboard. Then, when you create a campaign, remember to tick the box to enable tracking in the ‘Setup’ section of your campaign. Once this is set up you can send automated emails to readers who visit particular URLs on your site from your campaign. This is pretty straight forward. You can send emails out on a particular date as a one time event, an annual event or dependent on the date your reader joined the list. The really fun stuff! If you’ve got an online shop of any description then you are likely to be wanting to dive into MailChimp’s eCommerce options. There are a range of triggers here, all of which revolve around your reader’s buying habits. Triggers include; buying a particular product, a product from a particular category or, indeed, buying any product at all. For this to work you will need to have eCommerce360 available. eCommerce360 is what MailChimp uses to track your visitors from your campaigns to your website. 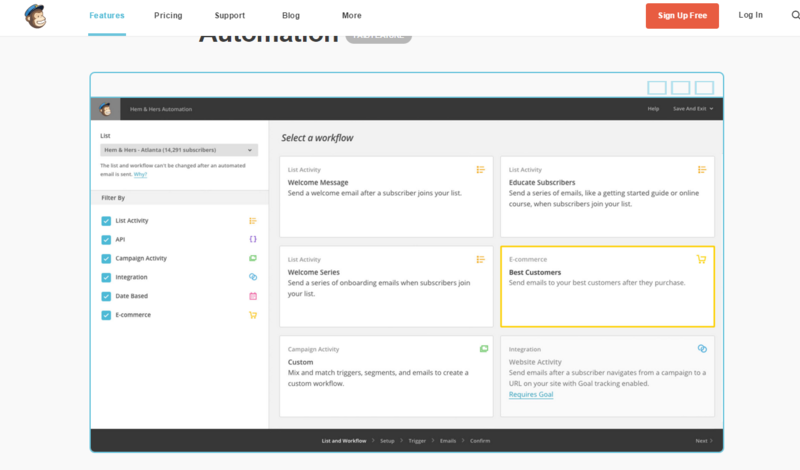 It feeds the relevant purchase information into MailChimp via your Reports page. It does this by linking in with your shopping cart plugins. Remember when we said last lesson that learning where your API key is would come in handy? That is about to become true! To use eCommerce you will need to integrate MailChimp with your shopping cart and you do this via MailChimp’s API. First though, you will need to switch on eCommerce360’s link tracking. You can do this in the same place as we found your goal tracking, under the setup menu in your campaign builder. eCommerce should be the first option under the ‘tracking’ section. Next you will need to have a shopping cart plugin that integrates with MailChimp. Most of the major providers are covered, here is the full list of shopping cart plugins if you are interested. However, the most useful ones like Shopify, WordPress and Cratejoy are all included. Each platform will be able to give the specific instructions to set up the link with MailChimp, but each will mostly likely require you to obtain your API key, as we showed you last week. Your plugin will be looking for these tags: mc_cid and mc_eid. MailChimp will attach these tags, which indicate the campaign ID and subscriber ID, to the indicated URL in your campaign and add them as cookies to your webpage. This will enable your eCommerce information to be funneled back into MailChimp. To find this information you can look at your subscriber profiles. Your subscriber profiles, if you haven’t come across them so far, will show you information about your reader such as their social data, rating and history. You can also access eCommerce data from your ‘Report’s section as well. Once you have gathered the data you can use this to create automation workflows as above, or you can create segments of your list based on purchase activity. ….and those are your automation options. 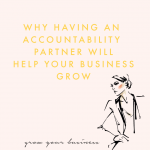 Obviously I can’t go through every single way you might use these as, the eCommerce particular, can be used for a variety of reasons. You’re limited only by your imagination here! So have fun with it! Now, we’ve mentioned segments and groups quite a few times throughout this post, so I think the next step is to have a little closer look and these options. So, as we’ve seen above, there are quite a number of ways to collect information about your subscribers to add to their profiles. From basic information, like the date they signed up, to information about their purchasing habits. …which sounds extremely big brother when you put it like that. Anyway, using segmentation you can divide your lists up depending on your reader’s preferences. So, for example, you may have a list of everyone who has purchased from your store. However, you might divide that list up into who purchased men’s clothes and who purchases women’s. See how this could come in pretty handy? It also has the bonus of tidying your lists up. I’ve never had any issues with MailChimp but I have to admit that their list system can get super annoying. Especially when you end up with the same subscriber on multiple lists. Not only is this frustrating but it can also impact on your wallet, given that MailChimp counts total number of subscribers not total unique subscribers. ie, instead of starting a new list and adding a subscriber, it might be easier to keep them on the same list but put them into a particular segment. The most straight forward way to create a segment is by going straight to the source. Your Lists page. Automation Activity: You can select subscribers on whether they have just started, finished or not completed the workflow. 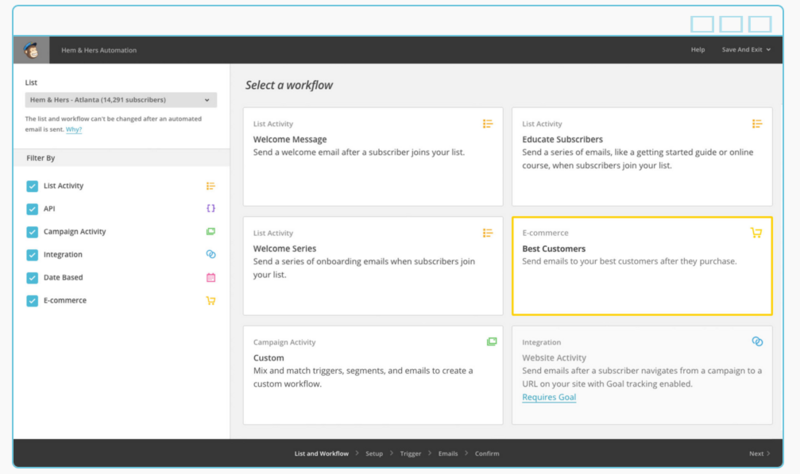 So, for example, when your subscribers have finished an email course and have come to the end of a workflow, you might want to segment them from those who are still working through the course.Campaign Activity: Through here you can select subscribers by how they interacted with your emails. There is quite a lot of choice here, as you can see below. This is particularly useful if you see that someone rarely opens your campaigns, or hasn’t opened a particular campaign. You may be better able to tailor your offering to them by excluding them from similar, future emails. Equally, if you see someone has clicked through to a particular element of your email, you might want to send them a tailored follow up email. Perhaps if they have expressed an interest in learning more about a course you are offering, for example. Conversation Activity: Very straight forward, you can segment your readers into who has replied to your campaigns, and who has not. Date Added: Here you can segment by when a reader was added to the list. This can be a specific date, or you can choose all subscribers that were added after a particular campaign was sent. For example, you might have sent an excellent tutorial on how to use your product to your email list last month. However, several new subscribers have joined since then. You don’t want to send it out again, to the whole list, only people who have subscribed since the campaign went out. This is how you would do it! Email Client: Also straight forward, you can segment your list by which email client they use or whether they access their emails through desktop or mobile.Info Changed: As it says on the tin, you can segment dependent on whether a reader’s information has changed before or after a campaign or particular date.Language: If you have a multi-lingual fan base then this would be particularly useful to make sure everyone is getting emails in the correct language. Location: As MailChimp is a US company, most of the options are based around segmenting people depending on whether they are in the US or not. However, you can select readers based on whether they are in or are not in a particular country. As well as how far away reader’s are from a certain place. 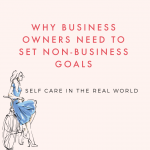 This is particularly useful if you have a physical location and want to limit your marketing efforts to those people on your list that can actually visit your shop/location. Whilst reserving other, online, offers for those that fall outside the geographic parameters. Member Rating: You may have noticed that MailChimp will assign between 0-5 stars to each member of your list. This indicates the level of engagement of your subscribers. If you have some relatively new subscribers they will often have a low star rating, along with long term subscribers who only infrequently open or interact with your emails. In this way you can segment your list into your most loyal and engaged followers, as well as those who are not so interactive. Sign Up Source: Again straight forward, you can segment your lists by where they signed up from. So, for example, which sign up form they used to subscribe from. Email Fields: You can use this to select people by particular email address. For example, if you wanted to select all people who had the same company prefix to their email, you can use this to put them all into one segment. VIPs: If you designated any of your list VIPs, frequent customers perhaps, you might want to give them their own segment. You can also access segmentation through the campaign builder, when you select which list you want to send the campaign to. Which is quite the selection of tools to use! Quite fairly, you may be thinking, what is the different between groups and segments? So instead of the specifics of segmentation, groups are more about preferences of your subscribers rather than their actions. So if segmentation is useful to you, groups are more about serving your subscribers. There are so many categories by which you can group your subscribers, up to 60 in fact. You can group subscribers yourself, by adding them into groups from your list or you can ask subscribers to indicate their own preferences on your signup form. So, for example, if you were running a music business you might ask your subscribers to indicate what their genre preference was on your sign-up form. Adding groups to your list is fairly straight forward. You access your Lists from the top menu and are taken to all the lists you have created. Next to the list you can select the small arrow next to the ‘stats’ button, to bring up the drop down menu. From the drop menu select ‘manage subscribers’ . On the next page select the forth option in the list, ‘Groups’ and click the ‘create groups’ button. From here you can manage the design of your sign up form by choosing how your group option will appear to subscribers. For example, to make it as simple as possible for your subscribes to complete the form, you may well want to use a check box. However, if for whatever reason you find yourself with many options to choose from, you might want to select the drop down box option. The question you ask your subscribers should be typed into ‘Group Title’ section. This is visible to your subscribers and will be something like ‘What is your favorite film genre?’ and ‘Group Names’ will be your options eg; romance, fantasy, sci-fi etc. You can add more group names if you wish and then click ‘save’ when you are done. Voila! If you want to add a subscriber to a group from your Lists you can also do that. Simply go into your Lists and ‘Manage subscribers’. Choose the subscriber you want to move into a group and click on their email or ‘view profile’. There will be the option to edit the ‘Groups subscribed to’. 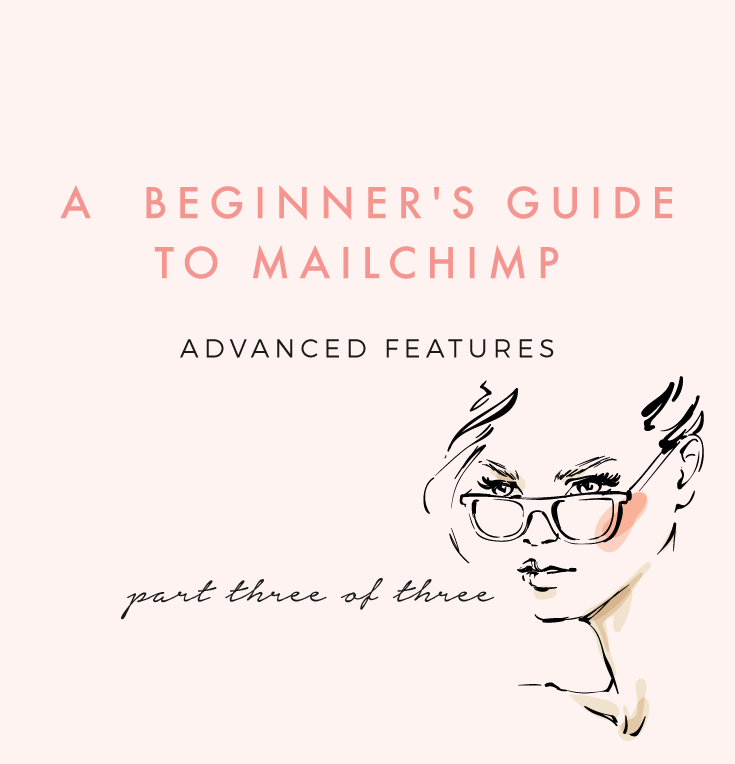 Woah, guys, we’ve come to the end of our Beginner’s Guide to MailChimp series! Thank you again to everyone for all their amazing feedback! 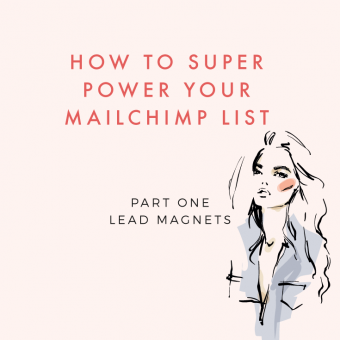 You have all been phenomenal and I hope all your MailChimp questions have been answered! As always if you have any queries or headaches feel free to drop them into the questions box or drop me an email anytime!